AMSTERDAM, The Netherlands – In Holland two important shows are being integrated into one event. 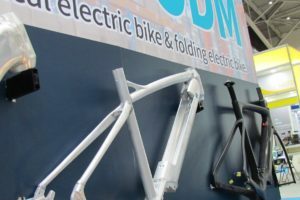 With that the biggest bike show for the Benelux countries emerges. 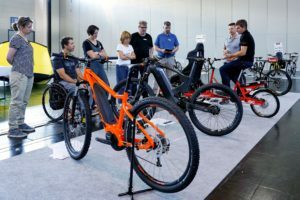 After a disappointing 2013 event that had about 20% less visitors the Dutch FietsVAK trade show is drastically changing into a show for consumers as well as dealers. For the 2014 event FietsVAK is collaborating with the Amsterdam Bike & Hike show. Turning the two events into one brings about the biggest bike show in the Benelux countries. 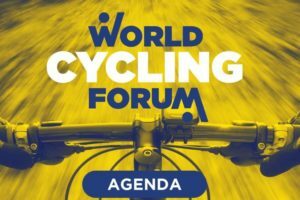 It will act as THE season’s opening event for Holland and Belgium as it is to take place in March. 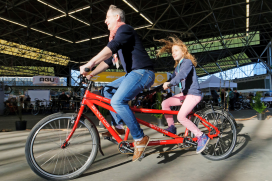 The Bike & Hike – FietsVAK show is to take place from 1 to 4 March, 2014. On 1 and 2 March the Bike & Hike show is taking place which will include all the about 100 exhibitors of the FietsVAK show. The dealer event is on 3 and 4 March. 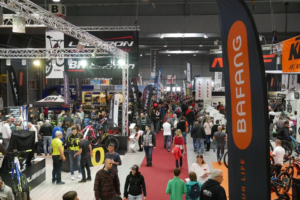 The biggest bike show in the Benelux will have a total show floor of 33,000 square meters. 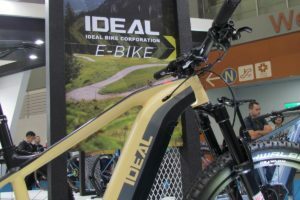 The Bike & Hike – FietsVAK show takes place in four halls of the Amsterdam RAI exhibition center. The four halls are to be connected with a bicycle track.